Welcome to Washington Girls Soccer Camps. We are committed to providing a camp that is both instructional and informational along with creating a great atmosphere to learn! The coaching staff at the University of Washington is dedicated to the development and growth of soccer players of all ages and skill levels. We are committed to providing a positive and instrumental learning experience for all camps. The Goalkeeper + Striker Clinic is centered around the most crucial aspects of our game: scoring a goal and eliminating goals. Goalkeepers and strikers will receive dedicated time from the University of Washington Womens Soccer staff on their particular craft. We will spend time breaking down and replicating the intricacies of different techniques and the game-like application of those techniques. The curriculum of the clinic is designed for one session to build off of the previous session, so attendees will receive the most benefit if they attend all sessions. To guarantee proper attention for each attendee, camp will be limited to 12 goalkeepers and 36 field players. Nikki Washington comes to the Huskies from Texas Christian University (TCU) where she served as director of operations for womens soccer last season. We are thrilled to welcome Nikki Washington to Montlake and to our Husky family, UW head coach Lesle Gallimore said. (Associate head coach) Amy (Griffin) and I performed a thorough search for this position and Nikki earned this opportunity through her ability to impress our entire search committee throughout the process. To link to larger image Click Here! *This is NOT an overnight camp. All participants are responsible for their own lodging accommodations. What if I have to cancel a camp? We recommend "Cancellation Protection"
We do not offer refunds on cancelled campers, just a future camp credit if you decide to cancel, but we do have what is called "Cancellation Protection". We offer basic Cancellation Protection to allow participants some peace of mind in case plans change. This allows us to keep our prices low and provide the best service possible. Due at the time of registration, Cancellation Protection entitles you to a full refund of camp fees should you cancel your registration more than 14 days prior to the start of an overnight camp, and 7 days prior to the start of a day camp. If you cancel within 14 or 7 days of the start of your session, we will give you a camp credit for all money paid. The credit is valid for 3 years from camp date at any of our camps. Credit with insurance is transferable to family members or friends, and good toward a future camp. Focus is on technical proficiency under pressure, mastery of the ball & an increased tactical awareness. We want players and staff to form a cohesive group and have fun while getting to the next level. Mornings will consist of individual and small group setting for maximum number of touches on the ball. Topics covered will include Dribbling to beat an Opponent, Enhancing 1v1 Defending Skills, Combination Play in Small Groups and Improving the Accurate Long Pass. Afternoon segment is an intense circuit of skills & games that will rotate every day i.e. soccer tennis competition, dribbling moves to beat a defender, futsol, receiving skills under pressure. Competitive games that improve skill and have a higher touch rate than 11-aside, with a competitive and fun element. Each day will end in scrimmages highlighting proper technique and decisions that coincide with the topic of the day. Goalkeeper Training will be available at this camp. GK's expected to train in goal and on the field. Equipment: Each Camper must bring own soccer equipment, including ball. Note: When it gets closer to the camp, WGSC will email an information sheet with directions and temporary parking pass for drop - off and pick up to assure that the first day of camp is smooth. We do not offer refunds on cancelled campers, just a future camp credit if you decide to cancel, but we do have what is called "Cancellation Protection". We offer basic Cancellation Protection to allow participants some peace of mind in case plans change. This allows us to keep our prices low and provide the best service possible. Due at the time of registration, Cancellation Protection entitles you to a full refund of camp fees should you cancel your registration more than 14 days prior to the start of an overnight camp, and 7 days prior to the start of a day camp. If you cancel within 14 or 7 days of the start of your session, we will give yo a camp credit for all money paid. The credit is valid for 3 years from camp date at any of our camps. Credit with insurance is transferable to family members or friends, and good toward a future camp. Day camps are held on University of Washington campus at IMA Sports Fields. A fun and interactive curriculum with Husky Soccer players and staff ensures each camper receives a multitude of touches on the ball in a fun environment. This camp is all about having fun, improving through trying, making new friends, and taking home an enhanced skill set that will allow you to have even more fun on the ball. By the end of the week, campers will feel more comfortable with the ball at their feet returning home with tricks to help them improve on their own. 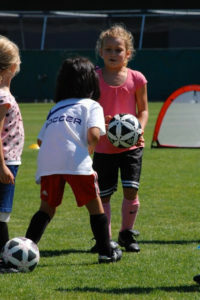 Li'l Dawg Camps are held on University of Washington campus at the Washington Soccer Field. A fun and interactive curriculum with Husky Soccer players and staff ensures each camper receives a multitude of touches on the ball in a fun environment. Main focus on camp is to learn all the skills and receive a multitude of touches within every game. By the end of the week, campers will feel more comfortable with the ball at their feet and go home with tricks to help them improve on their own. Campers leave tired and happy and ready for more! The University of Washington Pre-Season Prospect Camp is designed to educate future student-athletes on the expectations of Division I programs through a first-hand experience. During camp, a small group of campers will experience two days in the life of a Division I student-athlete going through the rigors of preseason. Participants will have the opportunity to be coached and evaluated by the UW womens soccer staff, Lesle Gallimore, Amy Griffin and Nikki Washington, as well as partake in field, classroom and lifting sessions. The camp will introduce the students to the high-intensity work ethic required to excel at the collegiate level. Curriculum for training and lifting sessions, as well as lectures, is designed for elite players. Each session will teach players the speed of play required, how to deal with pressure, understanding the strengths and weaknesses of different systems, as well as how to navigate the fitness and nutritional aspects of the college experience. Campers will also have the unique opportunity to watch the current University of Washington team as they prepare for their 2018 season. All activities will be begin at 8:00am on the 8th and concluded by 3:00pm on the 9th. Open to ALL Entrants within the age range. If you plan to attend camp WITHOUT a parent or guardian, please read the information below regarding accommodations and click the add hotel option. Please note the specific accommodations detailed below are ONLY available to campers attending WITHOUT a parent or guardian. If you are attending camp with a parent or guardian, please make accommodations on your own. Campers attending camp WITHOUT a parent or guardian must be comfortable taking public transportation from the airport to the University of Washington. 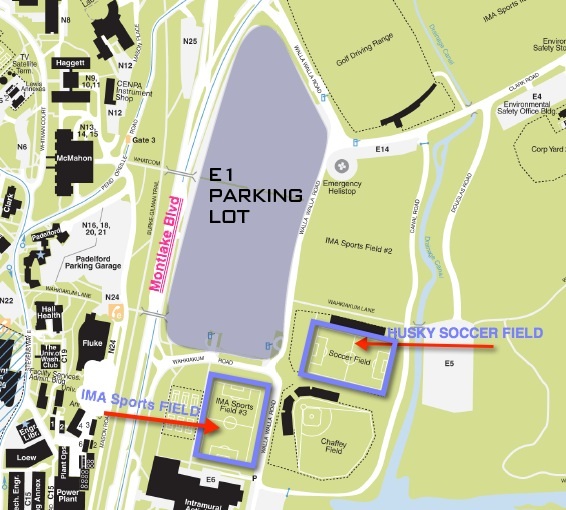 There is a very simple and accessible light rail system that travels from SEA-TAC airport and ends in front of Husky Stadium at the University of Washington. Upon arrival at the University of Washington via the light rail, a shuttle will be available that will provide transportation to the Silver Cloud Hotel, located 1 mile away from the University. There will be a hotel shuttle provided that will also transport the campers to camp and back to their hotel. For more information on the Light Rail and the Silver Cloud hotel, please click the links below. 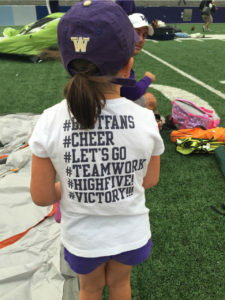 The University of Washington Fall Clinic is designed to educate future student-athletes on the expectations of Division I programs through a first-hand experience. During the clinic, campers will experience a day in the life of Division I student-athlete. Participants will have the opportunity to be coached and evaluated by the UW womens soccer staff, Lesle Gallimore, Amy Griffin and Nikki Washington. The camp will introduce the students to the high-intensity work ethic required to excel at the collegiate level. Campers will also have the unique opportunity to observe the current University of Washington team practice. 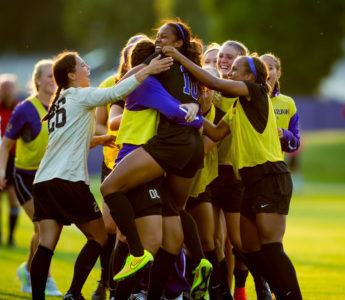 The UW Womens Soccer Fall Clinic is an great experience for aspiring collegiate athletes. Conibear Shellhouse: Please arrive 15 minutes early for Check-In. If you are dropping off do not turn left and park in E-1, but continue to follow road to the right until you come to a stop sign. Conibear Shellhouse is the Building on your left with olive green siding. All parking is free on Sundays. You may be able to find parking closer to Conibear but occasionally they are full. Must be completed and turned in at registration check in in order to participate. The University of Washington Winter ID Camp is designed for aspiring college soccer players to showcase themselves in an elite environment. During camp, participants will have the opportunity to be coached and evaluated by the UW womens soccer staff, Lesle Gallimore, Amy Griffin and Nikki Washington. Each session will provide campers with an understanding of the expectations of a college student-athlete. The content of camp will focus on technical proficiency, tactical understanding and the attitude and effort necessary to execute in those areas. The day of camp will consist of a training session and an 11 v. 11 scrimmage to showcase their qualities in a game-like setting. At the end of the day, the campers will be in a classroom setting, to learn and ask questions about the college recruiting process. The Winter ID Camp is open to players graduating high school 2021 - 2023. Conibear Shellhouse: Please arrive 15 minutes early for check-in. 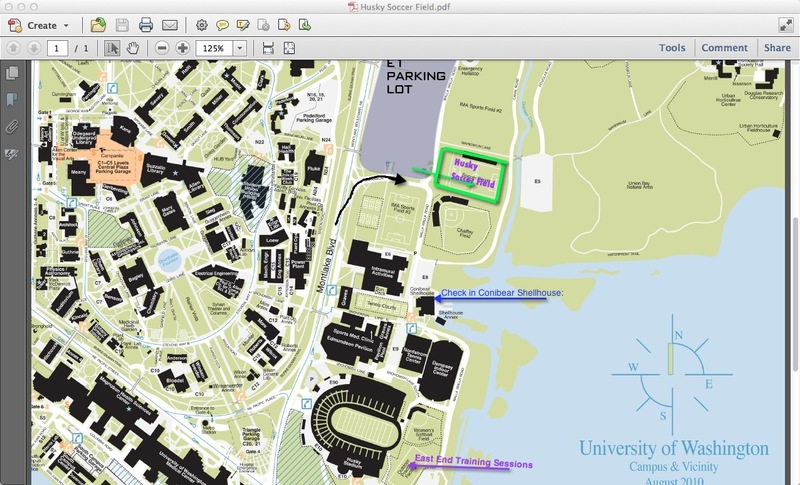 If you, as a parent or guardian, plan on staying for the entirety of the camp please park in lot E-1 found on the map below. Parking for the day is $6 in E-1.